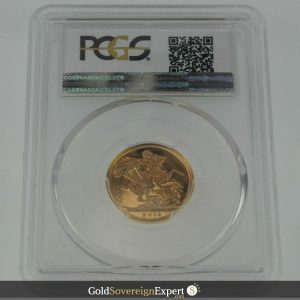 2000 Gold Centenary Proof Crown, minted to celebrate the life of Her Majesty Queen Elizabeth The Queen Mother. Boxed, with original CoA. Free insured shipping and 2% discount applied if paid via BACS. In the year 2000, the nation celebrated the life of Her Majesty Queen Elizabeth The Queen Mother. 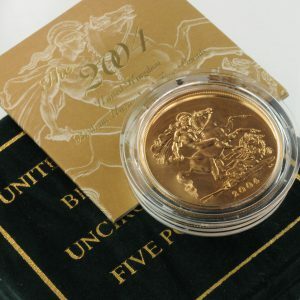 Just 3,000 year 2000 Gold Proof Centenary Crowns were authorised for issue. Struck in 22ct gold, it weighs 39.96g and contains 36.6g of fine gold. It is sealed in its own protective perspex capsule and is housed in it a Royal Mint presentation case. The all important original Certificate of Authenticity is also included. Both the obverse and reverse sides of the Crown were designed by Ian Rank-Broadley.